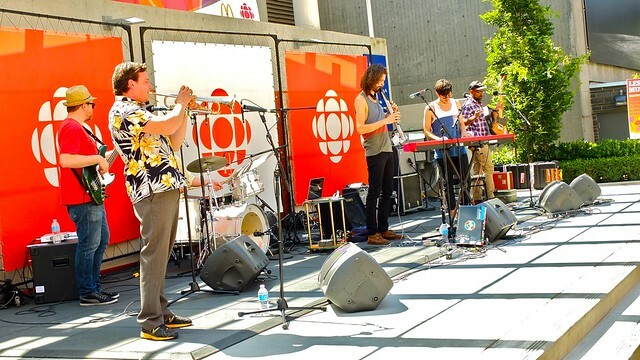 CBC Musical Nooners with Brasstronaut at CBC Vancouver plaza on July 25, 2012. 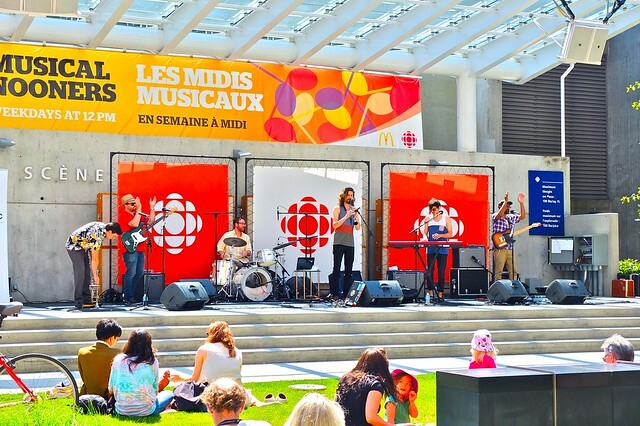 I finally caught a Musical Nooner outdoor concert outside my old stomping grounds at CBC along with hundreds of others. 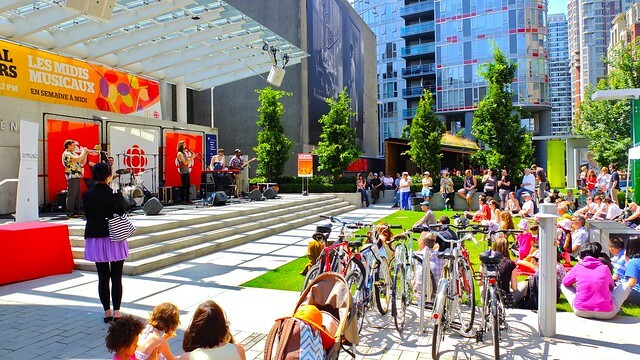 I've loved this summer lunch time tradition ever since I first worked there two years ago and hopped outside for a great, free outdoor concert. 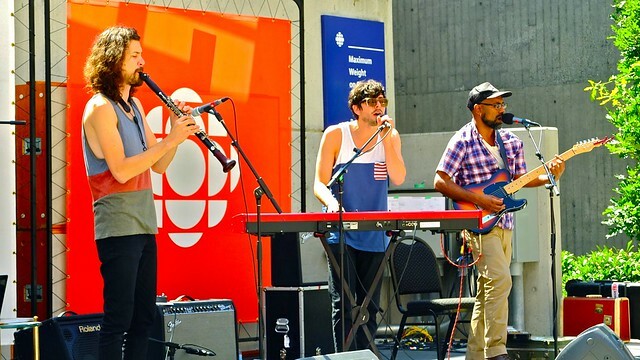 Brasstronaut is one of many wicked local bands to play a relaxed musical set while office workers and fans enjoy a nice, summer's day. 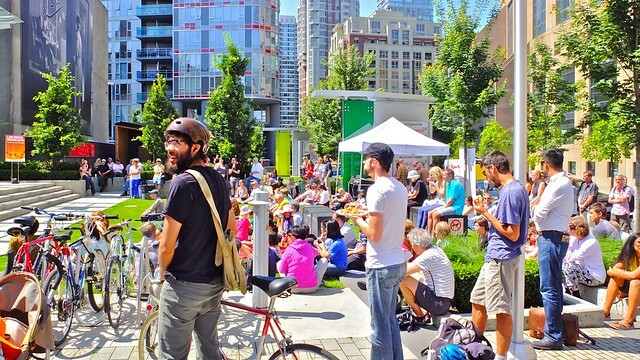 The cool ambience and laidback feel is a great way to unwind in the middle of the workday. 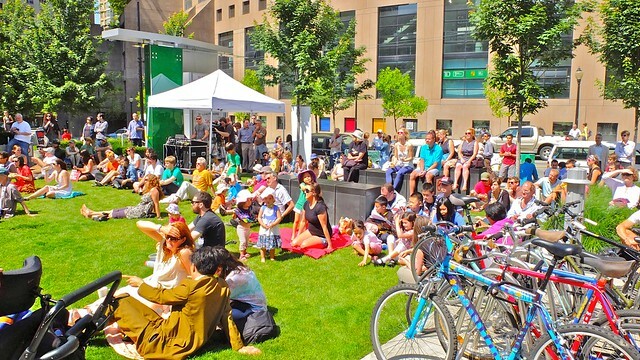 Make sure to grab your lunch and drop by 700 Hamilton Street around noon at least once this summer and enjoy some local music. 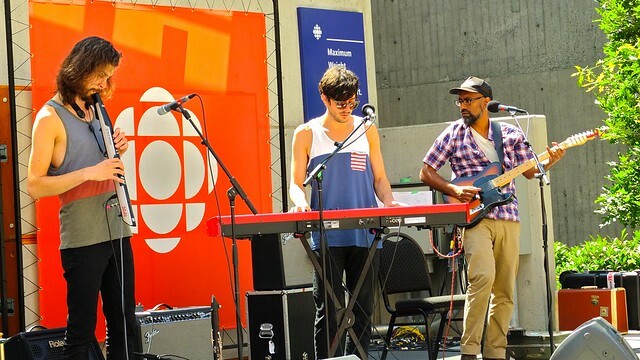 Musical Nooners happens every weekday all summer long until August 24 featuring all kinds of Vancouver's best musicians (found on CBC Music). Today is Oh No! Yoko.